Bowen Therapist and Animal Osteopath, Sue Buckley has been doing Endurance since the early 1990’s and been a customer since at least 2004. She has rehabilitated 6 horses over the years under ReactorPanel saddles, who all came with problems to some degree or another and has had 3 saddles individually made especially for her . 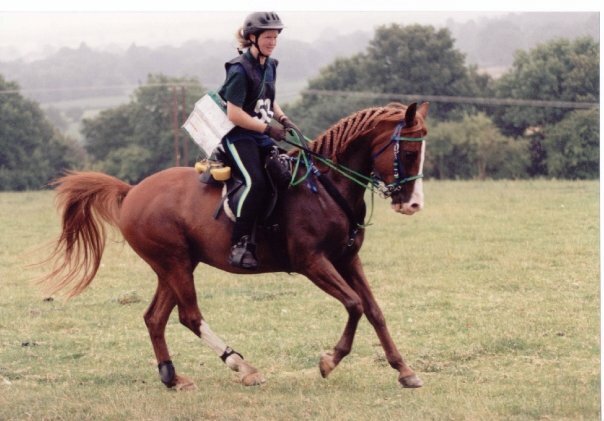 As a 100 Mile FEI rider Sue would never consider any other saddle for her horses and has recommended them to a number of her clients over the years to assist in the rehabilitation of their own horses. Asked which of her saddles Sue prefers, she has at present an Elegance Dressage Saddle ( adapted for Endurance) for her Horse Gary, an Xtreme Endurance for M.C. and a Christine Yeoman Endurance Saddle for George, she says that as they all have different properties they help her feel the same on three very different horses . Sue also uses our Comfort Endurance Tack. Callum, Prince and a saddle for a VERY tall rider.